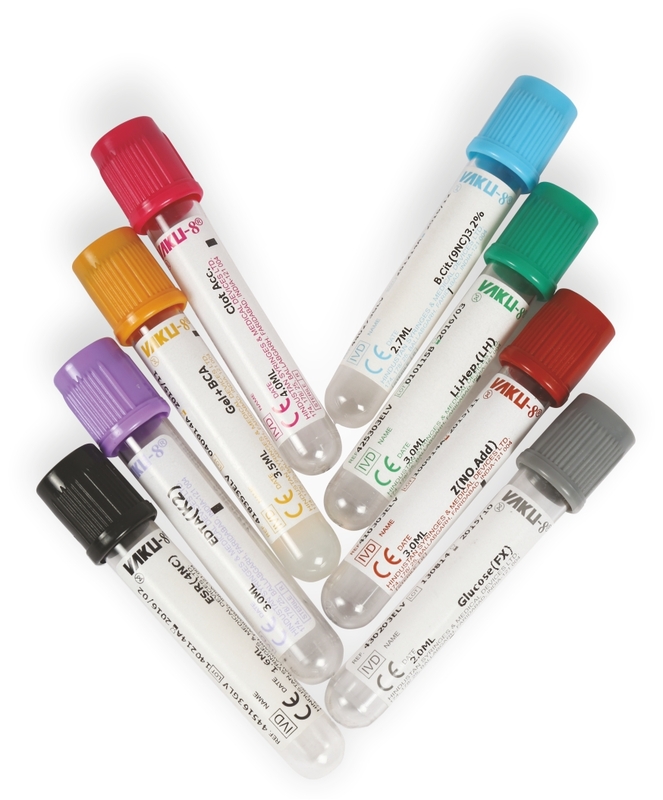 With the Vaku-8 evacuated tube system, the blood is collected directly into the tube during the venipuncture procedure and is a closed system. With the syringe method, the blood from the syringe must be transferred into test tubes after collection and is an open system. This convenient system eliminates the need for syringes in many cases and reduces risky blood exposers to phlebotomist and need to transfer blood to test tubes by Lab technicians and consists of disposable needles and tubes. Evacuated tubes are made of glass or plastic and come in various sizes ranging from 2 to 10 ml. Evacuated tubes may or may not contain additives. Blood collected in tubes without additives will clot and yield serum on centrifugation. Tubes that contain additives may or may not clot, depending upon the type of additive they contain and makes testing more rapid and accurate compared to open blood collection and testing. An anticoagulant is a substance that prevents blood from coagulating or clotting. If an insufficient amount of blood is collected in a tube with anticoagulant, the laboratory test results may be erroneous because of an incorrect blood-to-anticoagulant ratio. The blood collection vacuum tubes have been designed for a certain amount of blood to be drawn into the tube by vacuum according to the amount of pre-filled anticoagulant in the tube. 1. One hand opening leaving other hand free. 2. Easy Recapping. No risk of tube breakage or non closure as inner stopper present does not tilt as present in BI CAP stoppers. 3. Never comes Apart! One Piece. Serum Blood Collection tube aims at providing high-quality serum specimen for medical laboratories. It includes 3 kinds of tubes: no additive tube with & without clot activator with brick red cap, haemo repellant coated tube (silicon) with cherry red cap and GEL + clot activator tube with gold cap. No Additive Tube is used in blood collection and storage for biochemistry, immunology and serology tests. It can provide non contaminated serum specimen for clinical test, while keeping the serum stable over an extended inspection period. Silicone is used in blood collection and storage for biochemistry and immunology tests. It’s suitable for a wide range of operation, fast in coagulation, and free from both secondary separation of fibrin protein and the damage of blood corpuscle. The blood cells don’t stick to side of tube walls and result in hemolysis. GEL + BCA Tube is used for clinical biochemistry and immunology. Inside the tube there is a barrier gel present at the bottom. After centrifugation, the gel barrier that can effectively separate the serum from fibrin and cells, while preventing substance exchange between blood ‘cell and serum. As a result, it can keep biochemical characteristic and chemical components of serum stable over a long period. 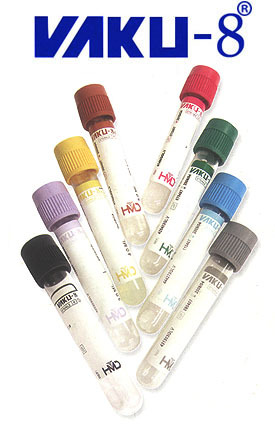 Whole Blood Collection tube provides high-quality blood specimen for medical laboratories. It includes 2 kinds of tubes: EDTA tube with Lavender cap (EDTA.K2/K3) and ESR tube with black cap. 1: EDTA Tube is widely used in clinical haematology as well as various kinds of blood cell test instruments. It has EDTA K3 / K2 as anticoagulant. 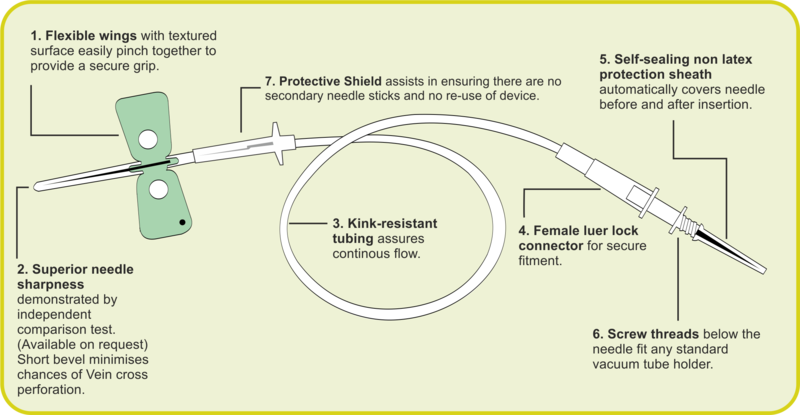 2: ESR Tube is used in blood collection and anticoagulation for sedimentation rate test. It contains a 3.8% buffered tri-sodium citrate solution (0.129 mol/l) with the mixing ratio of 1 part citrate solution to 4 parts blood. ESR measurement is done as per the Westergren method. Plasma Blood Collection Tube provides high-quality plasma specimen for medical laboratories. It includes 3 kinds of tubes: glucose tube (Oxalate Tube) with grey cap, PTtube with blue cap and heparin tube with green cap. Blood sugar, sugar tolerance, red blood cell electrophoresis, Alkali-Resistant Hb Determination and sugar dissolution. Anticoagulant used is lithium lodo Acetate. 2: PT / PTT Tubes are designed according to the 1:9 proportions of anti-coagulants and blood samples. Because of the low toxicity of the buffer sodium citrate, blood storage can be for extended period. 3: Heparin Tube is used in blood collection and anti-coagulation not only for routine clinical biochemistry tests and emergency biochemistry tests but also for some test items in blood rheology. It is coated with lithium heparin (or sodium heparin on request).